Philip Metres has given hundreds of readings in the past fifteen years throughout the United States, solo and on tour with Russian poets, including at the Poetry Project at St. Mark’s Place, Amherst College, Dartmouth College, Georgetown University, Harvard University, Northwestern University, Oberlin College, Princeton University, University of Southern California, and Wesleyan University. In 2014, I am pleased to have been awarded a Creative Workforce Fellowship. The Creative Workforce Fellowship is a program of the Community Partnership for Arts and Culture. 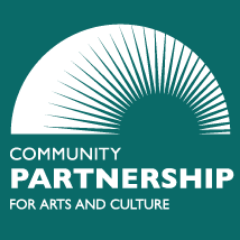 The Fellowship program is supported by the residents of Cuyahoga County through a public grant from Cuyahoga Arts & Culture. I was awarded the 2010 Cleveland Arts Prize for Emerging Artist for work the jury has called “beautiful, powerful, and magnetically original.” Here’s a clip. “Poetry in the Everyday” projects by some of my students. In these projects, students bring poems off the page and into the world–as broadsides, as dance, as video mashups, as songs. 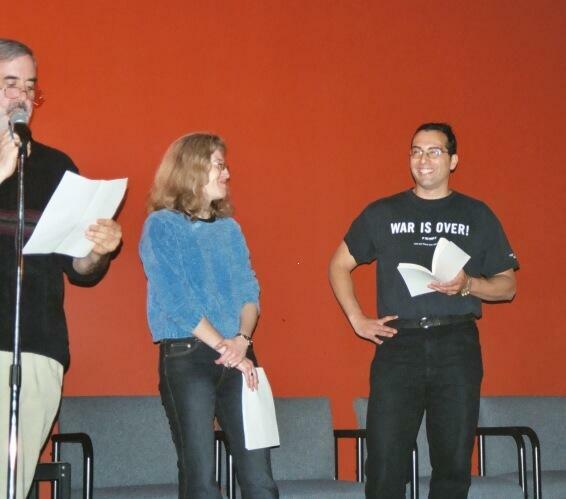 Listen to the “Poems of Peace and War” event from the Chicago Humanities Festival (2006). Pics from Installation of “Farther and Farther On,” Literature and Culture Conference Since 1900, Louisville, Kentucky. February 2007. Pics from Sergey Gandlevsky/Philip Metres: Tour of Charlatans 2005.